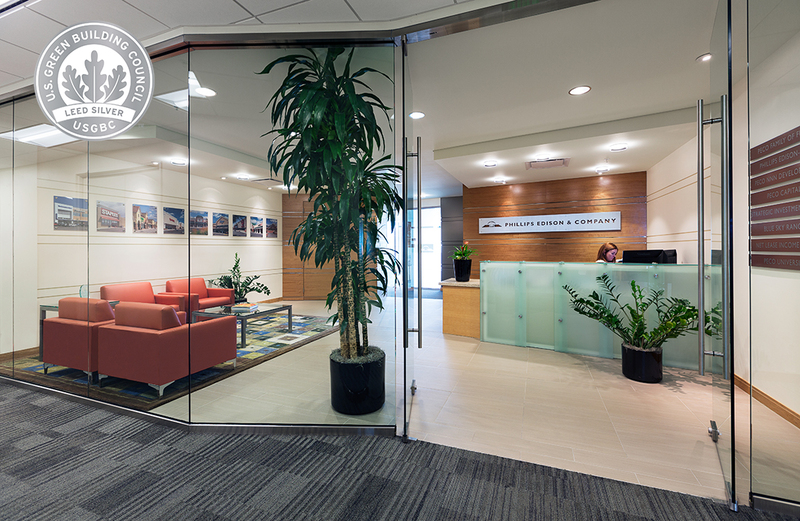 The Phillips Edison project created 11,990 sf of LEED Silver, class A office space. 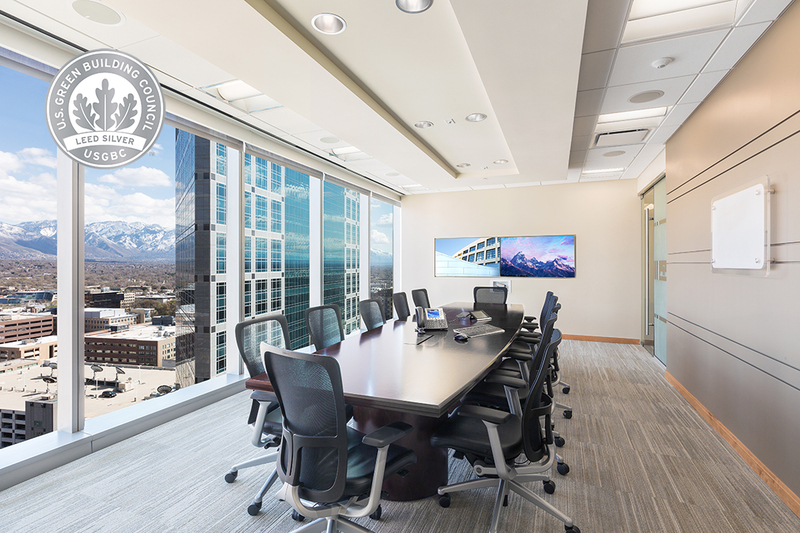 R&O performed the complete non-structural demolition and renovation of the 17th floor of the 222 Main Street office building, located in downtown Salt Lake City. 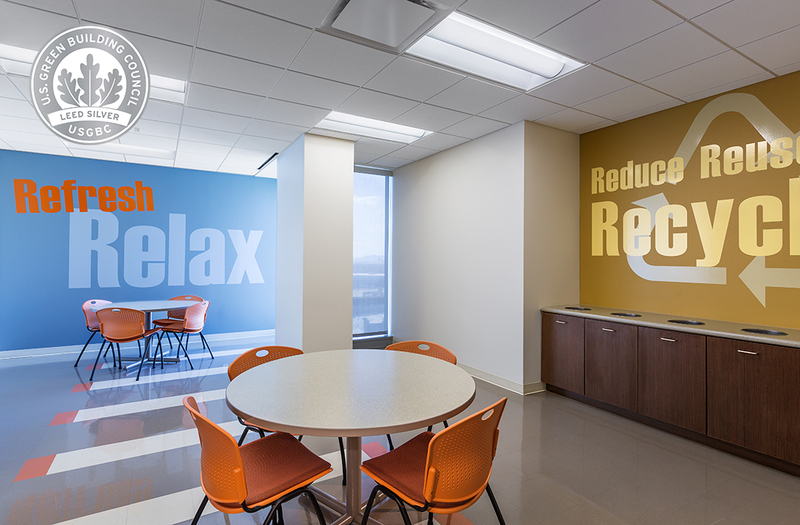 The renovation created executive offices, staff offices, a break room, conference rooms, a training room, a lobby and reception area, open cubicle spaces, file & copy rooms, a server room and a construction room. Twenty offices and two conference rooms were constructed around the perimeter of the glass curtain wall exterior to make use of stunning city views. Because Phillips Edison is one of many tenants in the building, R&O’s approach to construction was tailored to minimize disruption to business operations. Elevator and carpet protection were installed and night shifts were implemented. In order to adhere to a tight schedule, R&O identified long lead items early and created a proactive plan to track and document LEED credits.